This article provides alternative answers to some of the questions posed at oral argument in Oil States. It is the second in a series of articles by Professor Epstein about the issues at stake in Oil States Energy Services, LLC v. Greene’s Energy Group, LLC. Earlier versions of these articles were posted on the Fed Soc Blog. On November 27, 2017, the United States Supreme Court heard oral argument in Oil States Energy Services, LLC v. Greene’s Energy Group, LLC on the thorny question of whether the inter partes review (IPR) provisions of the America Invents Act (AIA) run afoul of constitutional guarantees on three related issues: separation of powers, the doctrine of unconstitutional conditions (i.e. whether Congress can condition the grant of a patent on an applicant agreeing to waive his or her Seventh Amendment right to a jury trial), and the due process clause of the Fifth Amendment. The conventional wisdom is that the Court is likely to affirm the decision below (perhaps with dissents from Justices Roberts, Alito, and Gorsuch) and allow the Patent and Trademark Appeal Board (PTAB) to continue in its current form. Nevertheless, the oral arguments in the case expose deep and pervasive misconceptions as to both the desirability and the constitutionality of the AIA and IPR. It is important to examine four related questions as we consider the oral arguments and what they suggest about the constitutional issues at stake in the case. First, when, if ever, does the PTAB lose its ability to claim jurisdiction over a case bought by a patent holder against an alleged infringer after the Patent and Trademark Office (PTO) grants the patent? Second, can the PTAB condition a grant of a patent on the patentee’s agreement that the PTAB retains control over future litigation over the validity of that patent, even in suits that the patent holder brings in federal district court? Third, is it consistent with due process for the Chief Judge of the PTAB to unilaterally add judges to any ongoing patent panel in order to promote uniformity in the issuance of patents—a power the PTAB has explicitly claimed? Fourth, if a potential infringer of a state-held patent asks for IPR, can the state be required to submit to the PTAB’s jurisdiction? Unfortunately, the questions from the Justices and the lawyers’ responses raise troublesome questions that do not admit of easy answers. The first challenge directed to Allyson Ho, counsel for Oil States, was aggressively stated by Justice Ruth Bader Ginsburg: “there must be some means by which the Patent Office can correct the errors that it’s made, like missing prior art that would be preclusive.” (Tr. 3-4). Justice Kagan quickly chimed in by asking, as if the question had no real answer, where it is best to “draw the line” between those cases where traditional judicial procedures are required and those in which PTO procedures like IPR are both appropriate and efficient. (Tr. 17). Ho’s answer was that “trial-like” procedures cannot be upended through truncated procedures before the PTAB. (Tr. 19). I would answer the questions posed by Justices Ginsburg and Kagan in a somewhat different manner. To Justice Kagan’s query on where to draw the line, the best answer is the same that it has always been: the patent office loses control over the patent once it is finally issued, so IPR-like procedures are only appropriate until the patent issues, after which all subsequent disputes must be resolved in court. That line is clear, sensible and known to all. Any line after the patent issues will be an exercise in arbitrary decision making. On this point, Justice Breyer sounded a sensible note of caution when he asked whether IPR could be triggered some ten years after a patent was granted when a company had spent some $40 billion in reliance on the grant. (Tr. 29). If the PTO always needs breathing room to correct its prior mistakes, the passage of time becomes a mere detail that warrants no consideration. This novel approach would reduce the venerable statute of limitations to an inconvenient obstacle that could be shunted aside in the endless pursuit of perfect justice. Using the time of the completed conveyance to determine when any grant vests supplies a uniform theory for all government grants that is easily identifiable and enforceable. It also prevents the needless proliferation of different rules for different asset classes, and it prevents the systematic encroachment by Congress and the administrative state on the prerogatives of the judicial branch. Against these virtues of tradition and clarity, the PTO argued that the new procedures boast efficiency, costs savings, PTO expertise in adjudication, and gains to investor confidence. These purported justifications for allowing a PTAB review of issued patents are not persuasive. On the first question of efficiency, the correct inquiry starts with a comparative analysis of how the PTO will work under the two alternative legal regimes. According to the conventional wisdom, the power to first revisit and then revise patents under the AIA is intended to “improve patent quality and restore confidence in the presumption of validity that comes with issued patents” because that review “screen[s] out bad patents while bolstering valid ones.” There is no empirical evidence on the strength of a novel procedure, so this claim rests on theory. But even economic theory offers no support for the proposition that the AIA procedure reduces both kinds of error—allowing bad patents and denying good ones. The key insight here is that the PTO is far more likely to take care in its initial examinations of patents if it understands that, once it grants a patent, its powers of review are over. This observation is not inconsistent with the view that some pre-grant procedure should allow challengers to come forward before any patent issues. The anticipated quality of the patent should be higher if the initial review is done expeditiously. The more thorough review at the first stage reduces the need for adjudication after that grant is made, which in turn lowers the level of system-wide uncertainty. The more expeditious process therefore cuts down on the cost of subsequent deliberations. The expertise of the PTO is respected, which is why the law creates a presumption in favor of patent validity. There is little reason to think that the expertise of the PTAB, as opposed to the entire PTO which initially awarded the patent, will be better a second time around, especially if the judging panel can be stacked to reach a desired result. Given the widespread distrust of the PTAB among investors, why expect that the IPR will restore or enhance investor confidence? Small inventors were the strongest opponents of IPR because they feared being bulldozed by large corporations who could now drag them and their assignees before the PTAB. Private investors want to invest in new technologies, not in multiple rounds of litigation. Investor confidence will be decreased—not increased, as PTO supporters claim—by a distinctive feature of the AIA that allows the PTAB to continue with the IPR even after the private dispute between the patent holder and the alleged infringer has been settled. (Tr. 7). IPR thus places the patent holder in the difficult position of having two opponents instead of one. 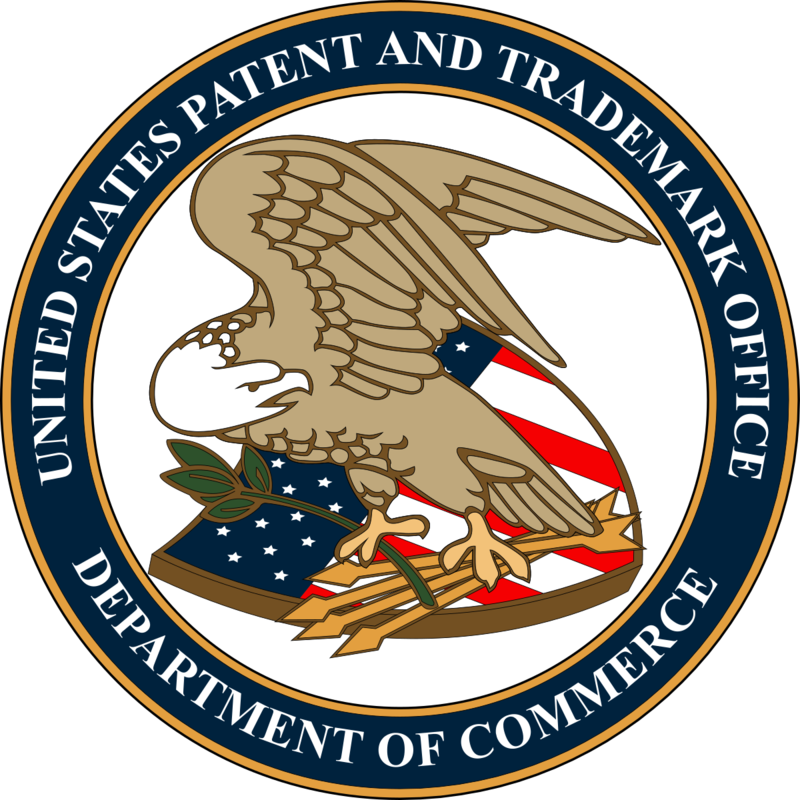 The PTAB readily strikes down patents on grounds of patent eligibility or prior art. The credible threat to institute an IPR before the hostile PTAB is likely to induce the patentee to settle the case on terms favorable to the challenger before it is brought back to the PTAB, which can still seek to invalidate the patent, thereby affording additional protection against suit to all other actual and potential infringers. This extraordinary feature is not found in ordinary trials, which supplies yet another reason the PTAB should not be given the unprecedented power that fuses administration and adjudication without the protections that attend real federal court disputes. The ability to grant or deny a patent lies within the exclusive province of the PTO. Its legal monopoly in this area should trigger the application of the standard limitations that apply to any legal monopoly. It must be prevented from abusing its monopoly power so that all of the restrictions it imposes on patentees (like all other monopoly impositions) are consistent with the general objective of advancing overall social welfare. That conclusion follows from a proposition announced by Sir Matthew Hale, who said of wharves over which a private party had a Crown-bestowed monopoly that they were “affected with the publick interest” and thus subject to a limitation that “all tolls be reasonable.” Accordingly, those tolls had to be high enough to cover expenses and allow an appropriate profit, not so low as to constitute confiscatory regulation nor so high as to allow the regulated party to charge monopoly rates. The duties of fair and reasonable service should attach to any government-run or government-granted monopoly in the same way they attach to private monopolies. Accordingly, the same kinds of duties and limitations should be imposed on the PTO when it grants patents as are imposed on a state when it grants a public utility monopoly; these duties should prevent the abuse of state monopoly power. The answer from Christopher Kise, for Greene’s Energy, was nonresponsive. He declared that “the scheme was set up so that these rights are taken subject to the power of Congress to determine patentability.” (Tr. 32). When the question was repeated by Justice Gorsuch, Malcom Stewart for the government doubled down by insisting (in a fragmented exchange) that no patentee could have formed “any expectation” that it could not be bound by any condition that Congress attached to the grant, including those which forced adjudication of patent disputes before the PTAB. (Tr. 43). These assertions of absolute congressional power ignore the limitations that the doctrine of unconstitutional conditions imposes on Congress. That doctrine is always in play when the state exercises its monopoly power to make various kinds of grants. “Stated in its canonical form, this doctrine holds that even if a state has absolute discretion to grant or deny any individual a privilege or benefit, it cannot grant that privilege [or benefit] subject to conditions that improperly ‘coerce,’ ‘pressure,’ or ‘induce’ the waiver of that person’s constitutional rights.” At an abstract level, this doctrine sounds arcane and obscure, but a simple example shows how it works. The government has a monopoly over the public highways. It can condition the ability to drive on taking tests for driver safety, or on the willingness to take automobile insurance. But it is surely unconstitutional for the government to insist that, in order to drive, you sign loyalty oaths, waive your Fourth Amendment rights against unreasonable searches and seizures, or take out a life insurance policy for the benefit of the state. The first set of conditions are those that advance the overall efficiency of operations along the highway. The second set of conditions are illicit efforts to transfer wealth from a weaker to a stronger political party, which is the essence of the political abuse associated with monopoly power. [A] State may not, in imposing conditions upon the privilege of a foreign corporation’s doing business in the State, exact from it a waiver of the exercise of its constitutional right to resort to the federal courts, or thereafter withdraw the privilege of doing business because of its exercise of such right, whether waived in advance or not. Contrary to the remarks of the lawyers Kise and Stewart, this doctrine also applies to the congressional power over patents. No inventor can afford to refuse to take a patent because its grant is conditioned on the waiver of various constitutional rights to adjudication, complete with jury trials, in an Article III court. The AIA is not exempt from this basic analysis of unconstitutional conditions. There is a fundamental right to have a case heard before a neutral tribunal. Under the Seventh Amendment, there is also a constitutional right to have questions of fact raised in suits at common law before a jury, in patent cases as in others. The only way for the government to resist the application of the unconstitutional conditions doctrine is to insist that there is no independent constitutional right to a jury trial in patent cases. Before the Supreme Court, both Kise and Stewart downplayed the importance of this extraordinary power. Mr. Kise said that “I don’t believe that’s taken place more than one or two times.” (Tr. 33-34). He was cut off before he could say that he did not think it took place here, but then in response to Justice Kennedy’s question said, “if it were rampant, then I think what the Court said in Cuozzo . . . that the Administrative Procedure Act and other provisions of the Constitution would deal with infirmities in a particular case on an as-applied basis.” (Tr. 33-34). The matter was then left hanging until, in response to a question by Chief Justice Roberts—“Does it comport with due process to change the composition of an adjudicatory body halfway through the proceeding? (Tr. 45)—Mr. Stewart offered this response: “This has been done on three occasions. It has been done at the institution stage,” (Tr. 45), i.e. at the outset of the case and not in the middle. This exchange understates the seriousness of the problem. If the issue were indeed one that should be resolved on an “as-applied basis,” the due process challenge should succeed in all such cases. Hence these are really facial challenges which are more efficiently addressed at the wholesale level, unless some argument could be put forward to explain that the practice makes sense in some cases, but not in others. But there is no hint anywhere as to what the relevant criteria for carving out this exception should be. Nor, as a matter of fact, does it appear that these events are as infrequent as was claimed, for there were at the time of oral argument many pointed charges of improper conduct. The astounding assertion of power was made on November 16, 2017, eleven days before the oral argument in Oil States, in an executive session held to plan future PTAB policy. Ruschke publicly stated that position two days after the oral argument in which Kise and Stewart made apparently inconsistent representations. This is no longer a matter of speculation, for on December 19, 2017, the PTAB in Ericsson Inc. v. University of Minnesota announced in a judgment in which both Ruschke and Boalik sat that “our standard operating procedures provide the Chief Judge with discretion to include more than three judges,” claiming that this power was delegated expressly to the Chief Judge by the AIA under In re Alappat. PTAB’s public statement of its panel-stacking procedure flouts due process requirements. The four stated reasons for expanding panels are themselves good reasons not to allow the Chief Judge to tamper with panel composition, let alone make himself the decisive voice on the case. Irregularities of procedure are least welcome in cases of “exceptional importance.” It is precisely in these cases that no one person should be allowed to wield inordinate influence. More specifically, unlike en banc hearings, which are intended to collect a wide range of disparate views, this procedure involves the Chief Judge appointing only himself and the Vice Chief Judge to panels for the express purpose of rigging the outcome in favor of the legal positions that these two judges favor. Doing this in secret only adds insult to injury. But whether done openly or in secret, placing such inordinate power in the hands of one or two individuals is an open admission of prejudice that should never be allowed in any tribunal, whether an Article III court, which has clear functions, or the PTAB which is an unruly amalgam of judicial and administrative functions. It is the sign of a broken culture that public officials should trumpet their own misconduct as a form of public virtue. The initial question was whether the PTO Director’s decision “whether to institute an inter partes review under this section shall be final and non-appealable”; the Supreme Court answered this question in the affirmative, given the clear language of the statute. The second question was whether the authority delegated to the PTO under the AIA to issue regulations “governing inter partes” is broad enough to uphold a PTO regulation that provided that in the course of IPR any patent claim “shall be given its broadest reasonable construction in light of the specification of the patent in which it appears.” The standard judicial rule calls for the “ordinary meaning” test to apply. On the first of these rulings, it is generally the case that parties do not get an appeal from any decision to institute an action. But in this case, that power precludes the right of the parties to end the case by a mutual settlement of their differences, so it is at least an open question whether the patent holder is entitled to have some escape from a process that he cannot terminate by ordinary means. In Cuozzo, the Court held that the statutory language was not limited to a denial of interlocutory appeals, but covered decisions to initiate cases as well. Clearly, allowing appeals on an interlocutory basis is rarely wise, but the ability to stop a misguided suit before it begins has much more to commend it because it does not involve breaking up an ongoing suit. Nonetheless Justice Breyer, over dissent, held that the clear language of the statute covered the routine case before it. Accordingly, he rightly set aside cases that present constitutional issues or whose questions went outside the scope of the particular section at issue. The decision is debatable, but defensible. But the result should be exactly the opposite whenever the Chief Judge exercises his power under the statute to stack the panel in favor of his preferred outcome, for there is no reason a party should have to try a case before a biased panel to the bitter end when the objection is to the method by which the panel is constituted. In these cases, the ideal solution is a per se ban against this practice. But if the matter becomes an as-applied challenge, it should be resolved before anyone has to go through a proceeding that could well be invalidated because of problems at the outset of the proceeding. Justice Breyer’s decision in Cuozzo is, however, far more troublesome for its rote invocation of Chevron, which in this instance allows the PTAB to fashion rules of claim construction, displacing the traditional rule of ordinary construction by an untested rule that allows the PTAB to give claims the broadest reasonable interpretation. At this point, Justice Breyer again observes that the PTO may intervene in appellate decisions, even if the private challengers do not join in the appeal, without quite saying that the appellate court would be bound to follow Chevron, and thus give deference to the PTAB in cases of statutory ambiguity. Under the AIA, the burden of proof on the challenger, the PTO, or both is a bare preponderance of evidence instead of the higher standard of clear and convincing evidence, which only increases the incentive for patent challengers to avoid the district courts. And the broader claim reading makes it more likely that any patent will be invalidated because it is more likely to infringe on a preexisting patent, for if it would not the parties would normally have opted for the broader construction anyhow. Any set of rules that abandons ordinary construction should be viewed with deep suspicion. Yet the justification for using one standard before the PTAB and another in the federal courts is utterly unconvincing. Justice Breyer insists that, “in addition to helping resolve concrete patent-related disputes among parties, inter partes review helps protect the public’s ‘paramount interest in seeing that patent monopolies . . . are kept within their legitimate scope.’” The ellipsis in the quotation conceals the fact that the case cited, Precision Co. v. Automotive Company, was concerned with the state’s “paramount interest in seeing that patent monopolies spring from backgrounds free from fraud or other inequitable conduct, and that such monopolies are kept within their legitimate scope.” No issue of claim construction or monopoly power was raised in Precision. It is therefore critical to ask why a novel test of claim construction is superior to the traditional test when the state also has a powerful interest in preserving incentives to invent by ensuring that inventors receive a just return on their inventions. Put otherwise, the social welfare and private incentives are well aligned under the traditional rule. Yet the Breyer opinion offers no word of explanation as to why a major deviation from that standard should be accepted. Cuozzo thus gives the PTAB the power to redraft substantive law, without any explanation of whether or why a reviewing court should accept its determination on that point. There is no such embarrassment if the disputed AIA provision is read to allow the PTAB to develop its own procedures to administer the standard legal rule. This decision converts the PTAB into a runaway train. [A]n interpretation of the Eleventh Amendment that finds waiver in the litigation context rests upon the Amendment’s presumed recognition of the judicial need to avoid inconsistency, anomaly, and unfairness, and not upon a State’s actual preference or desire, which might, after all, favor selective use of immunity to achieve litigation advantages. That result does not apply in any patent dispute because those must be litigated in federal courts. The question, then, is why a state should be deemed to waive its immunity to IPR when it has no choice in where to go, given that the sole rationale in Lapides “was to prevent a State from selectively using its immunity to achieve a litigation advantage.” In order to patch the hole in its argument, the PTAB cites New Mexico v. Knight, which held that the states necessarily waived sovereign immunity against compulsory counterclaims, which had to be brought in the initial case or forever lost. But that precedent is completely inapposite in this instance. A state waives sovereign immunity to any compulsory counterclaim when it initiates a suit in federal court, but it hardly should be taken to waive the defense of sovereign immunity against IPR when it is not to its advantage to do so, and there is no reason for that to happen given that the federal district court offers a federal forum in which both sides compete on rough parity. Why would any state that has granted its opponent a federal forum ever throw itself into the lion’s den of the PTAB? There is accordingly no issue of fairness or strategic behavior that justifies the PTAB’s decision. Sadly, at no point did the PTAB opinion seek to reconcile its own opinion on Minnesota’s invocation of sovereign immunity with those advanced in the cases it cited or explain how the doctrine of sovereign immunity could ever come into play in cases where IPR is sought. Any case in which a tribunal such as the PTAB decides a case in favor of its own jurisdiction should be looked upon with deep suspicion, especially when the tribunal has never ruled in ways that have limited its power. The case law under the AIA is at a major turning point. The general perception in 2011 was that the AIA was making modest adjustments on a large number of technical points, with perhaps more profound changes on such matters as business method patents. It would be hard to find anyone who thought that the creation of IPR review would lead to a massive revolution in the operation of the entire patent system. But so it might be if the PTAB can control the agenda from top to bottom and transform the patent system into one that has the following features: stacked panels in favor of the views of the Chief Judge of the PTAB, no right to jury trial, a lower burden of proof to set aside a patent, no ability to settle out private disputes once the case is before PTAB, nonappealability of its decision whether to hear a case, a rule of claim construction that deviates from the well-settled rules of ordinary meaning, and an automatic waiver of sovereign immunity whenever a defendant removes a case from federal district court to the PTAB. These massive shifts are taking place without any showing that any of these reforms will do anything to improve the overall operation of the patent system. The traditional virtues of a system of separation of powers are made crystal clear by this litany of mistakes: the traditional regime lets the PTO decide which patents to issue, after which their protection is a judicial function. Oil States gives the Supreme Court the chance to stop a process that has already run off the rails. And if it does not, Congress should take steps to restore the proper constitutional balance. All the relevant documents are available on SCOTUSblog’s page for Oil States Energy Service v. Greene’s Energy Group, available at http://www.scotusblog.com/case-files/cases/oil-states-energy-services-llc-v-greenes-energy-group-llc/. Pub. L. 112-29 (September 16, 2011). See Ronald Mann, Argument Analysis: Justices hesitant to invalidate congressional scheme for re-examination of patents by Patent and Trademark Office (Corrected), SCOTUSblog, November 28, 2017, available at http://www.scotusblog.com/2017/11/argument-analysis-justices-hesitant-invalidate-congressional-scheme-re-examination-patents-patent-trademark-office/. See Nicholas Pfeifer, Patent Office Admits to Stacking Judges to Manipulate IPR Decisions, Smith & Hopen, August 29, 2017, https://www.smithhopen.com/news_detail/670/Patent-Office-Admits-to-Stacking-Judges-to-Manipulate-IPR-Decisions. Benjamin J. Christoff, Blurring the Boundaries: How Additional Grounds for Post-Grant Review in the America Invents Act Raise Issues with Separation of Powers and the Administrative Procedure Act, 39 Dayton L. Rev. 111, 124-126 (2013) (internal footnotes omitted). 157 Cong. Rec. 9778 (2011) (remarks of Rep. Goodlatte), quoted in Cuozzo Speed Technologies, LLC v. Lee, 136 S. Ct. 2131, 2139 (2016). For evidence the other way, see Gregory Dolin, Dubious Patent Reform, 56 B.C. L. Rev. 881 (2015), http://scholarworks.law.ubalt.edu/cgi/viewcontent. cgi?article=1181&context=all_fac; Neal Solomon, The Myth of Patent Quality (Sept. 14, 2017), https://papers. 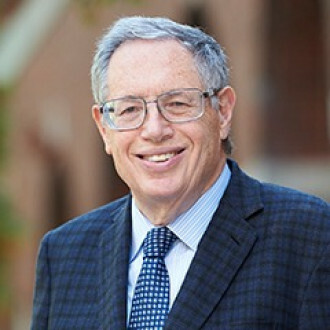 ssrn.com/sol3/papers.cfm?abstract_id=3036969, cited in Richard Epstein, The Supreme Court Tackles Patent Reform: Why the Supreme Court Should End Inter Partes Review in Oil States, 19 Fed. Soc’y Rev. __, __ n. 3 & 4 (2018). 35 U.S.C. § 282(a) (“A patent shall be presumed valid. . . .”). See also Cuozzo, 136 S. Ct. at 2143 (“[I]nter partes review is less like a judicial proceeding and more like a specialized agency proceeding. Parties that initiate the proceeding need not have a concrete stake in the outcome. . . .”). Matthew Hale, De Jure Maris, 1 Harg. Law Tracts 6. See Richard A. Epstein, The History of Public Utility Rate Regulation in the United States Supreme Court: Of Reasonable and Nondiscriminatory Rates, J. Sup. Ct. Hist. 345, 346 (2013). The same condition does not attach, however, to the behavior of individual patentees in the use of their patents. The patent is only an exclusive right to sell a given product, which never precludes new entrants from developing alternative devices to supply the same or superior functionality, so the concerns associated with monopoly power are not present. Illinois Tool Works Inc. Independent Ink, 547 U.S. 28 (2006) (holding that “the mere fact that a tying product is patented does not support such a presumption [of market power.]”). Id. at 541. I do not think that this argument holds in the employment context in Loudermill, because labor markets are competitive and teaching positions are widely available from other employers. See Richard A. Epstein, Bargaining with the State at 225-226. But it does hold for patents given that the PTO and the PTAB both exercise monopoly power. 257 U.S. 529 (1922) (overruling in part Doyle v. Cont’l Ins. Co., 94 U.S. 535 (1876) (ironically written by Hunt, J. ), and Sec. Mut. Life Ins. Co. v. Prewitt, 202 U.S. 246 (1906)). Morse, 87 U.S. at 451. Terral, 257 U.S. at 532. 99 Virginia L. Rev. 1673 (2013). Brief for H. Tomás Gómez-Arostegui and Sean Bottomley as Amici Curiae in Support of Neither Party, http://www.scotusblog.com/wp-content/uploads/2017/08/16-0712-ac-H-Tomas-Gomez-Arostegui.pdf. Statute of Monopolies, 1624, 21 Jac. I, c. 3. For my earlier comments on this point, see Epstein, Tackles, supra note 8, at sec. II. See generally Marin K. Levy, Panel Assignments in the Federal Courts of Appeals, 103 Corn. L. Rev. 65 (2017). 136 S. Ct. 2131, discussed infra at Section I. See Pfeifer, supra note 4 at 1. See also Bill Smith, Federal Circuit’s Concern Regarding PTAB ‘Panel Stacking’—Back to the Future?, IP Intelligence, August 29, 2017 (citing Nidec Motor Corp. v. Zhongshan Broad Ocean Motor Co. 851 F. 3d 1270 (Fed Cir. 2017), which I discuss in Epstein, Tackles, supra note 8, at sec. II). Steve Brachman, PTAB Chief Ruschke says Expanded Panel Decisions are Conducted in Secret, IP Watchdog, November 29, 2017. Ericsson v. Regents of the University of Minnesota, IPR2017-01186, -01197, -01200, -01213, -01214, and -01219. 33 F.3d 1526 (Fed. Cir. 1994). Cuozzo, 136 S. Ct. at 2140. The dissent of Justice Alito joined by Justice Sotomayor is found at 2149. For the dangers in of abandoning ordinary construction in connection with defamation, see the application of the innocent construction rule in Lott v. Levitt, 556 F.3d 564, 567 (7th Cir. 2009) (dismissing a defamation suit for false charges of “fabrication” as “a description of an academic dispute regarding controversial theories, not an accusation of academic dishonesty”). Cuozzo, 136 S. Ct. at 2144. 324 U.S. 806, 816 (1945). It is inherent in the nature of sovereignty not to be amenable to the suit of an individual WITHOUT ITS CONSENT. This is the general sense, and the general practice of mankind; and the exemption, as one of the attributes of sovereignty, is now enjoyed by the government of every State in the Union. Unless, therefore, there is a surrender of this immunity in the plan of the convention, it will remain with the States. See, e.g., Alden v. Maine, 527 U.S. 706 (1999) (immunity from private suits, including those under the Fair Labor Standards Act). U.S. Const., amend. XI (“The judicial power of the United States shall not be construed to extend to any suit in law or equity, commenced or prosecuted against one of the United States by citizens of another state, or by citizens or subjects of any foreign state.”). Ericsson, supra note 33, at 7. 312 F.3d 1111 (Fed. Cir. 2003).